In the process of birth the infant is exposed to the microbial environment of the outside world for the first time. Because the infant frequently comes into contact not only with maternal vaginal secretions but with blood and feces as well, it is not surprising that perinatal infection is common. 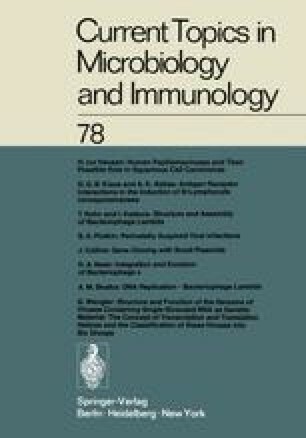 This review will not consider bacterial perinatal infections—extremely common though they are—nor early intrauterine viral transplacental infections, about which much has been written (Overall and Glasgow, 1970; Fuccillo and Sever, 1973; Plotkin, 1975). Rather, the discussion will be confined to infections that are acquired about the time of parturition. These infections include the herpesviruses, the hepatitis viruses, and some of the enteroviruses.